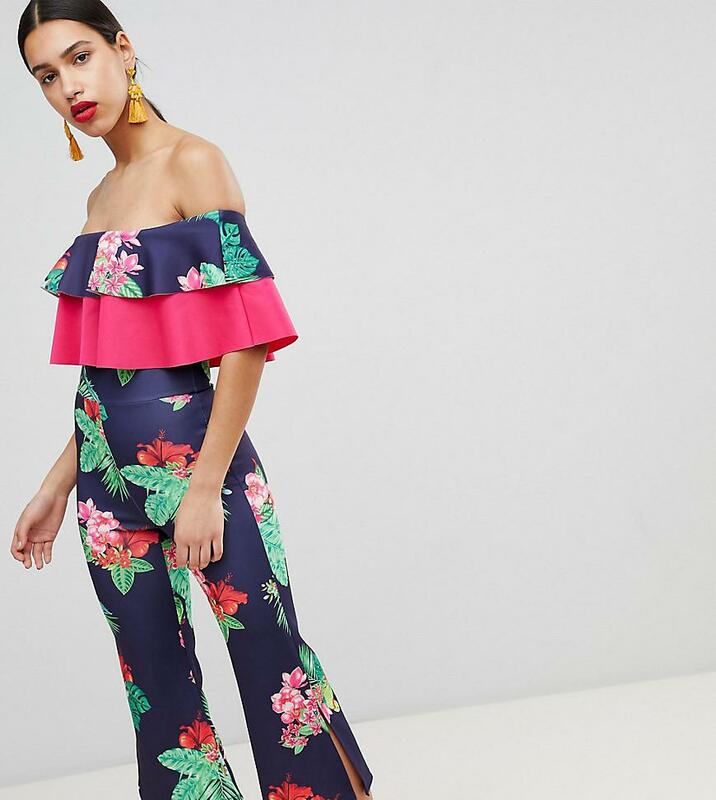 See more True Violet Jumpsuits. 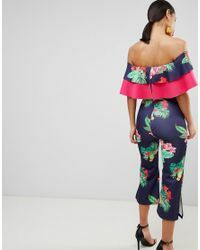 Jumpsuit by True Violet, Floral print, Break out the blooms, Bardot neck, Double-frill design, It's all in the details, Culotte style, Regular cut, Fits you just right, Exclusive to ASOS. Prom dress stresses and wedding attire worries? 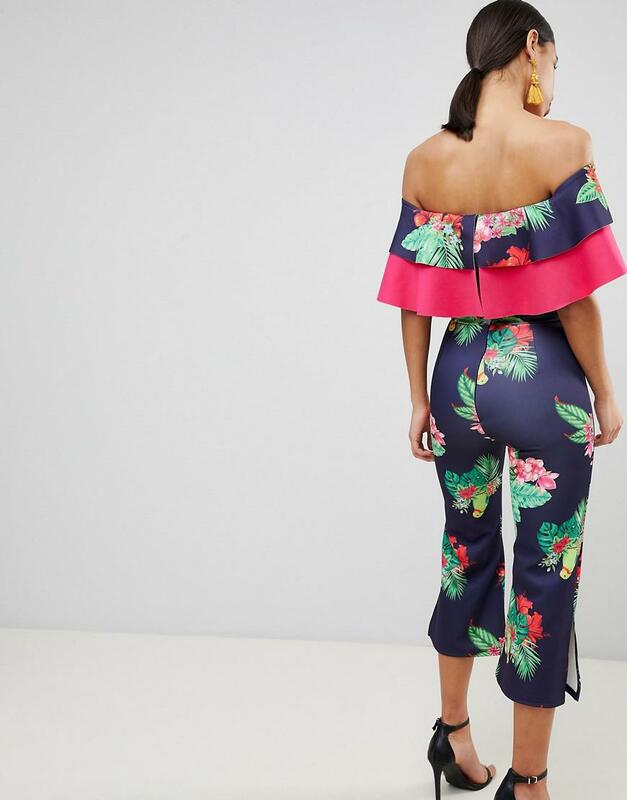 Check out True Violet's collection and get schooled on all-occasionwear. 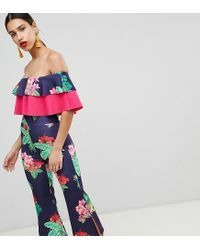 Were talking hand-painted floral prints and embellished dresses, tops and trousers for statement dressing with a super feminine vibe. Elastane/ polyester/ print.